Gynzy’s interactive whiteboard and multi-level activities allow teachers to scaffold learning to fit their students’ needs! So much of what teachers commonly use such as worksheets, books, or power point restrict teachers from making needed adjustments during a lesson. How many times do you prepare using these tools only to meet the needs of a few, while the majority could benefit from more practice or scaffolding of the concept. Gynzy activities provide teachers the ability to provide background, multiple windows of opportunities, and make differentiation the norm in classrooms in order for all students to benefit from the concept being taught. Gynzy’s Interactive Whiteboard activities allow educators to keep students engaged through the use of adjustable skills/concepts that provide rigor and differentiation to every learner. With the use of active student response techniques in a classroom such as individual dry erase boards and response systems, educators are able to increase the difficulty level when they see that their students are having success. Through the use of Gynzy, educators are no longer caught up or restricted by the print on a page to provide pace, but can make informed decisions based on observations. By using the interactive tools, I am able to present my students with simple foundation skills that build to more complex topics in math. For example using the Diagram tool, I am able to begin with a bar graph with intervals of one, but adjust the graph by changing the intervals in seconds. 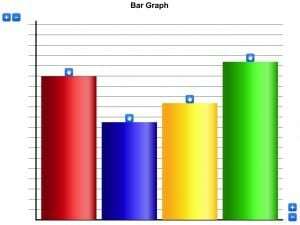 I can even change the number of bars to make the graph present more information at one time. Students are able to take a trip through the standards without feeling overwhelmed by a structure that I am unable to change. Learning should not be stiff, but adjustable to fit the needs of our diverse populations in today’s school. Gynzy allows teachers to prepare boards that maybe used in a lesson while having the ability to make needed adjustments. Lessons can be saved, yet teachers still have the ability to make needed adjustments. Time out for ordinary, Gynzy helps educators to deliver powerful differentiated lessons that improve student achievement and understanding on PURPOSE! 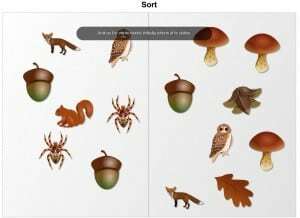 In the graphing lessons, I even use the Sort by Theme tool to teach pictograph foundation skills. The first thing about graphing is sorting like items together. By lining them up and adding labels, my students quickly see the connection of showing data in a different way. When the students are able to answer simple questions about the graph, I add a key that gives each picture a value. This way I am able to take my students on a journey daily through the standards without having copies, but a great adjustable tool. My students are not frustrated because I monitor them and when they are confident I add in the next skill. Learning involves emotions and when I am to take them from simple concepts to more advance concepts my students thrive. In the words of Maya Angelou, “People will forget what you said, people will forget what you did, but people will never forget how you made them feel.” These words reign true when teaching children. My favorite Gynzy activity is “Snap Cubes“. Snap Cubes are great for teaching students the basics of perimeter and surface area! Each cube serves as a unit. Students are able to count the number of units that make up each side. Students are able use the visual to help lay a concrete meaning of each concept. Students can be taught how to use the rows and columns to form an array. The basic difference between the two concepts can be easily seen! Snap Cubes are a great way to introduce, practice, and extend the conceptual meaning of perimeter and area!